When thinking about what to dress each member of your family in, remember the days of all matching shirts or outfits are long gone! Try striving for a “coordinated” look instead. 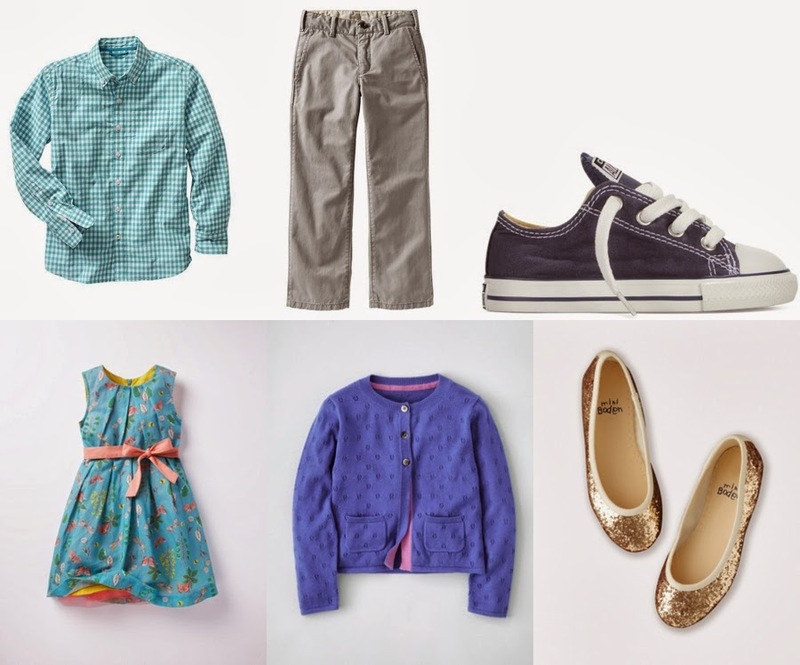 Work within in the same color pallet but feel free to throw in splashes of color outside of the pallet (see the little girl cardigan below for example of surprise color!). Consider comfort! Photo sessions are a blast and filled with movement, you might be running through a grassy field or all cuddled up together on a park bench during the shoot (maybe save the fancy dress and high heels for date night...). Have everyone try everything on before the day of the photo shoot, kids grow so quickly...if you have the perfect thing in mind that has been hanging in their closet for months, it might not fit any more, have them try it on before hand! Think about details; jewelry for mom, hair clip for little girls to keep the hair out of their eyes, cute and clean shoes for everyone! Spring is the perfect time to schedule a family photo shoot! Spring styles are colorful, the sky is bright, the grass is turning green and we are all thrilled to be outside!